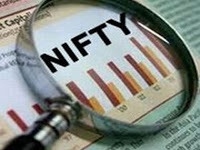 Stock market of India had close on Friday at 19781.19 with 113.79 point slip down side , Nifty slip 35.85 point down side and close below than 6000 level, bank nifty share slip 0.81% or 102.35 point in red signal , Auto stock, Metal stock, Services, IT, Infra, Reality, stock slip down side at Friday, as well as FMCG, ENERGY, PHARMA STOCK LOOKED ON GREEN SIGNAL. On the Friday US Market increase 1% that is close above 14000 point first time last five year, so we can hope IT stock will rise after this news, now HUL, ITC, LOOKED HOT IN THIS COMING WEEK. JP ASSOCIATE, BHARTI AIRTEL, AMBUJACEM, HINDALCO, SIEMENS, ONGC, SESA GOA, HUL, ICICI BANK SLIP DOWN 4% TP 1% TODAY. In week Suzlon Energy increase 8-10 point , low trade at 17.80, and high of this week is 26.70 , so its beneficial for investor to invest in huge volume. Hot stock look in Monday we can invest in stock future and option segment. Instead of stock market tips, if you post intraday SGX signals on the same blog will result in more number of national plus international visitors. Crude Oil February and Brent Oil March series are down 0.2-0.3 percent each at $ 53.15 and $ 56.30 a barrel, respectively.